Home » Nolah Vs Brooklyn Bedding- Which Should You Get? Nolah and Brooklyn Bedding are both popular online sellers of all-foam mattresses that use proprietary materials. In this article, I will go over the similarities and differences between the Nolah flagship mattress and Brooklyn Bedding’s #bestmattressever mattress (yes, the hashtag is part of the name), to help you decide which one is better for you. Both are all foam mattresses. Both have a dense foam base layer. Similar price range ($549-$1,069 for Nolah, $425-$1,050 for Brooklyn Bedding; these are non-sale prices). Both offer a 120-night trial, though Brooklyn Bedding requires you keep the mattress at least 30 days before returning it. Nolah is softer than Brooklyn Bedding’s medium option, but I think the soft Brooklyn Bedding option is about equally as soft as Nolah. Nolah has a thicker support layer. Brooklyn Bedding is more bouncy and elastic. Brooklyn Bedding has thicker comfort layers. Nolah has a viscose cover. Thin, soft, breathable viscose covevr. A top 2 inch layer of a proprietary “AirFoam” keeps cool and has been shown in studies to relieve pressure better than standard memory foam. Below that is 1-inch of latex-like Avena foam, which gives the mattress good bounce and makes it more responsive. It is also highly durable. 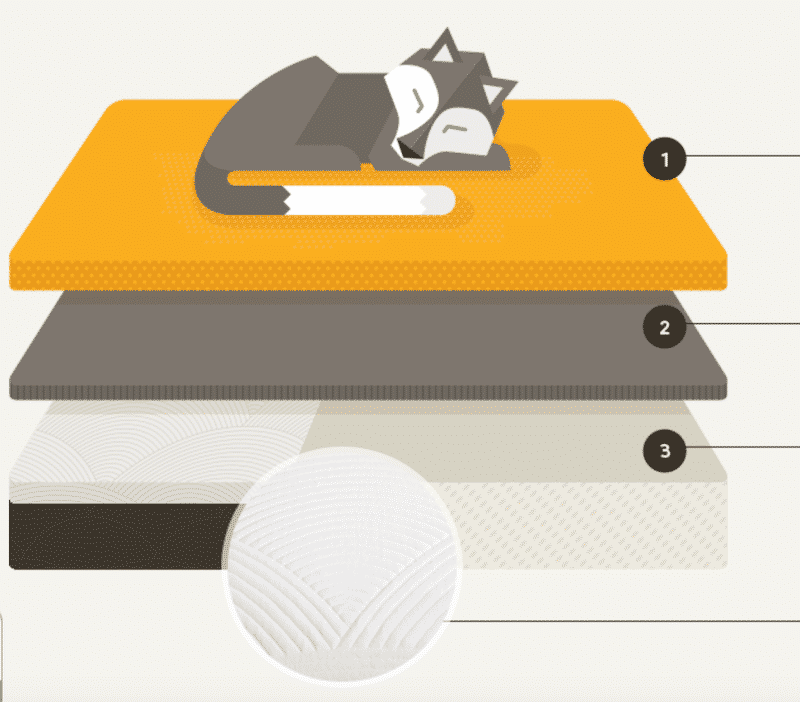 The base layer is 7 inches of high density poly foam, similar to most foam mattresses. The top layer is 2 inches of proprietary “TitanFlex” foam, which uses a special gel to conform to your body and pull heat away from the body. This foam has an elastic quality to it. The next layer is another 2 inches of TitanFlex foam, but this layer is firmer than the top layer. The bottom layer is a pretty standard 6 inches of high density polyfoam. Both are made of three layers, with a middle layer that adds elasticity. Brooklyn Bedding’s top layer has more elasticity. Nolah is softer than the medium firmness version of Brooklyn Bedding. Nolah generally has more of a quicksand-like sinking quality than Brooklyn Bedding’s options, but the soft version of Brooklyn Bedding is about as soft as the Nolah mattress. Brooklyn Bedding has a little more bounce to it and more of a pillow-like quality. Watch the videos below to get a better idea of what to expect from each mattress. Nolah isolates motion a little better than Brooklyn Bedding, so for couples where at least one person is a light sleeper, Nolah might be the better option. That said, Brooklyn Bedding does an okay job isolating motion. Watch these videos to see the difference. You like to sink into your mattress — Nolah has a semi-quicksand feel to it, so it’s a good choice for people who like to feel like they are sleeping “in” their bed rather than “on” it. You’re a side sleeper – Nolah is very soft, making it a good at conforming to contours and relieving pressure and thus a great pick for sleeping on your side. You’re a stomach or back sleeper — Brooklyn Bedding offers firmer options that are more supportive for people who sleep on their bellies or backs. You like a little more bounce in your mattress — Brooklyn Bedding’s #bestmattressever mattress has more of an elastic quality. Both mattresses are good choices, and you’ll have a trial period to commit to your choice. The medium and firm versions of Brooklyn Bedding differ quite a bit from Nolah, but those looking for softer mattresses might find the soft version of Brooklyn Bedding comparable to Nolah. Leave any specific questions you have as comments.